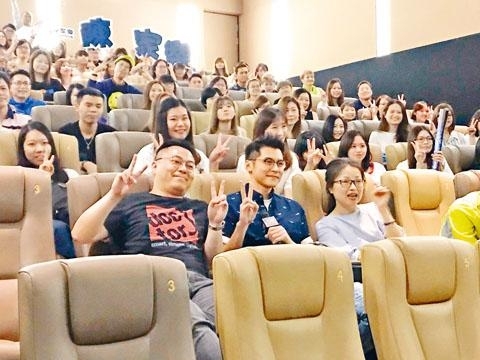 Carlos Chan Ka Lok earlier missed the film HOUSE OF THE RISING SONS (HING DAI BAN) premiere, so he later decided to book a show and enjoy the film with over 100 fans. Fans reacted enthusiastically after the show as they said that the film was very hot blooded and moving. Fans even sang the Wynners' classic THOUSAND YEARS UNCHANGED. Ka Lok brought film merchandise to thank the fans and even posed for picture for each one of them after the show. He hoped to have even more chances to gather with fans in the future.